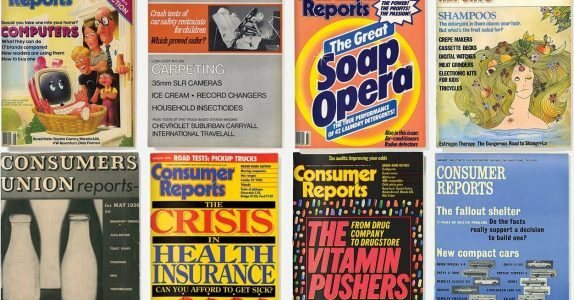 Bravo to Consumer Reports for devising an 80th anniversary timeline that consists of three to five significant magazine covers from each decade. TIP: Leveraging your own products is a great starting point for corporate history timeline design; the timeline becomes a mini-history of your brand(s). CR’s format is optimized for mobile, and the explanatory copy consists basically of photo captions (example below). I wish, however, that CR had archived these issues and given us a way to drill down into individual stories, since the topics range from early warnings about the hazards of cigarettes, to fallout shelters, to computers (“Should you take one into your home?”) to identity theft. Now that would be not just a stroll, but a hike through history.